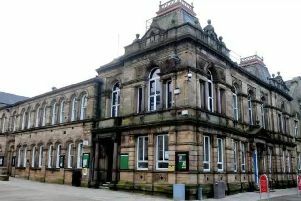 Proposals to split the Ribble Valley parliamentary constituency and merge it with parts of Pendle have been branded as “madness” by the council leader and MP. Ribble Valley Council leader Coun. Ken Hind and MP Nigel Evans have said they are opposed to the changes put forward by the Boundary Commission for England, which would ultimately reduce the number of MPs in Britain from 650 to 600. The proposals, which would see Colne, Trawden, Barrowford and Earby merged into a new Pendle and Ribble Valley constituency, should be shelved according to Coun. Hind. He said: “Nigel and I recognise that post-Brexit the workload of our MPs will be increased greatly because a lot of work currently done in Brussels will come to Westminster. Mr Evans’ fellow Tory MP in Pendle, Andrew Stephenson, also opposed the proposals for Pendle and the Ribble Valley, but supported the notion of redrawing constituencies. He said: “I am all in favour of reducing the number of MPs and equalising the current unfair distribution of voters in constituencies as they are now. “However, I think the Boundary Commission has got it wrong regarding Pendle and the Ribble Valley. It would create a new constituency stretching from Preston to Earby which would be almost impossible for one MP to represent. A date has yet to be set for MPs to vote on the proposals.